While I haven’t used all of these items, I’ve done my best to research and curate them into a list that will save you time and spark some ideas for the socially conscious traveler on your list. 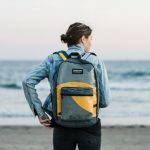 Whether for staycations, backpacking treks, day trips while traveling, or to use as carry-on only luggage, finding a well-made and versatile backpack is important for many travelers. The Nazca 24L Travel Pack from Cotopaxi is a backpack-meets-luggage style pack (read my in-depth review here). Cotopaxi’s tagline is “gear for good,” and this philosophy is woven into various parts of their business. They fund sustainable poverty alleviation and are very transparent about their manufacturing process. 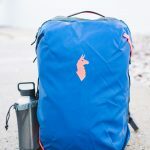 Built of more rugged material than the Nazca, the Cotopaxi Allpa 35L is a bigger size built for longer trips, but with the same great organizational design of the Nazca 24L (check out my in-depth review here). There are several options for add-on accessories with the Allpa 35L that include: mesh laundry bag, nylon shoe bag, and water bottle holder that clips onto the outside of the pack. While I haven’t used the water bottle holder much, I love the laundry bag and shoe bag. Looking for something not too big and not too small? 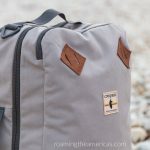 This year Cotopaxi released a “just right” version that falls between the Allpa 35L and the Nazca24L–the Cotopaxi Allpa 28L (I’m currently swooning over the gray one and trying to justify why I should have a third backpack-suitcase). It has the rugged material of the Allpa but is a bit smaller size for shorter trips. For every product you purchase from United By Blue, they remove one pound of trash from oceans and waterways. In addition to being committed to conservation work, United By Blue creates high-quality products with a lifetime guarantee. This convertible tote bag goes from backpack to shoulder bag, has a laptop sleeve (13″), exterior pockets (including a water bottle pocket), and is a roomy 25 liters. This versatile tote would make a great carry-on or bag for walking around. Packing cubes are one of the most popular pieces of travel gear among frequent travelers. They help travelers pack more efficiently and stay organized–whether going carry-on only or planning for longer trips with a big suitcase. Eagle Creek packing cubes are a great option. Check out the 3-piece starter set here or even more Eagle Creek packing cube options here. Eagle Creek incorporates sustainability into the philosophy of their business and is committed to making quality products that last longer and minimize landfill waste. The Del Día Dopp Kit from Cotopaxi is perfect for keeping toiletries snugly organized. Plus, it fits perfectly in the front pocket of the Cotopaxi Allpa 35L (with room to spare). Embrace Cotopaxi’s “gear for good” philosophy and support sustainable poverty alleviation through your clothing purchase. They have active wear and outerwear for men and women. Check out the classic llama t-shirt (for men or for women). 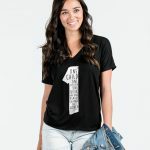 Shop the social good company Sevenly for clothes that support a charitable cause that’s important to you. You’ll see which charity your purchase supports in the description of each product. Find out how Sevenly works, and check out the environment or humanitarian lines to support worldwide sustainable causes. Get an inspiring tote bag from Thistle Farms, a social enterprise with a mission to heal, empower, and employ women survivors of trafficking, prostitution, and addiction. This bag has their slogan, “Love Heals” written in various languages from many of their global partners, and the handles are made from recycled saree fabric. 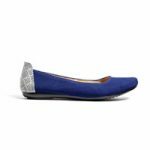 Get beautiful women’s shoes from the Root Collective and provide jobs for artisans in Guatemala–both for the women preserving the Mayan weaving heritage and the young men who Otto employs in La Limonada, the largest urban slum in Central America. “Otto’s house doubles as a shoe workshop. It is a safe haven for guys turning away from life in the gangs and saying ‘yes’ to change” (from the Walk the Vision video). Check out their product options on their website or on Amazon, and be sure to follow the #ottomademyshoes hashtag on Instagram. 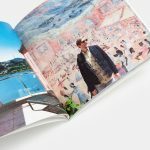 Got a traveler who loves to write on your list? Trust me, they can never have enough journals or notebooks! This “Love Heals” journal is not only beautiful but also provides living wages for students and graduates in Honduras. Thistle Farms is a social enterprise with a mission to heal, empower, and employ women survivors of trafficking, prostitution, and addiction. When it comes to travel notebooks, it doesn’t get more classic than a Moleskine. I love the simplicity and portable size of the Cahier Journal (they’re so easy to throw into any bag! ), but for something sturdier check out the Hard Cover Notebook. These notebooks from Resketch are made from reclaimed (not just recycled) paper. The sheets inside are various colors and styles, making this great for the free-spirited creative type on your gift list! Check out the mini notebooks or the larger spiral bound one. Travelers who want to pack lighter often wash their clothes while traveling–maybe in the sink or using laundry service at a hotel. The Scrubba™ Wash Bag is a helpful item for travelers and backpackers who want to do laundry on the go, allowing them to wash pretty much anywhere they can find water. Help reduce plastic waste by packing your own toiletries in reusable TSA-approved toiletry containers. The Travel Bottle Set comes with a clear bag, 4 bottles, and a cream jar. Preserve makes 100% recycled household products, including razors and toothbrushes. Not only that, they take used products (like those toothbrushes that usually get tossed) back through their recycling program–either by mail or at one of their drop off locations. Additionally, Preserve is a certified B Corporation, which means they have met guidelines for environmental and social responsibility. Check out their razors, razor blade refills, and toothbrushes. Bottled water requires a lot of energy and fuel to produce, and most of the bottles end up in landfills. Reusable water bottles are a pretty easy way for travelers to make a dent in all this waste. SAFE DRINKING WATER: For travelers headed to places with safe drinking water, simple stainless steel bottles like Klean Kanteen or Healthy Human (this is what I use and love!) are great options. These double-walled water bottles keep drinks cold or hot all day. Having convenient reusable snack bags like these Chicobags can be super handy for road trips, flights, and day trips. Flip and Tumble produce bags are a great option for shopping for local produce while traveling or at home. They sent me some of these a few months ago, and I’ve been loving them! These reusable bags from Flip and Tumble come in a bunch of (fun!) colors, and one of my favorite features is that they compact into a ball for convenient storage in a purse. Zipper bags are one of those super helpful and versatile items that I always pack in my suitcase, but I’ve been seeking a more eco-friendly option that would cut back on plastic waste. These ChicoBag travel zips are a good option to keep toiletries, cords, and other small items organized while traveling. Artifact Uprising is an amazing print lab that uses sustainable paper and reclaimed materials throughout their product line. Get a gift card so all those beautiful trip photos can go from digital to tangible. Use fewer local resources and charge your devices with renewable energy while traveling with a solar charger, like these ones from Instapark, Anker, or Goal Zero. 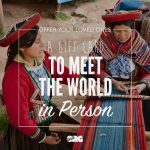 Gifting a travel experience instead of stuff might be just perfect for the socially conscious traveler. This list includes a wide variety for any budget (from less than $20 USD to several thousand). Give a travel experience with social good organizations through Visit.org. The traveler gets an amazing experience (like street art tours, surfing, cooking, or weaving), and funds are reinvested back into the host community. Support a cause you care about through community-based tourism. Head to their website to purchase a gift card that can be used on any tour. Purchase a gift voucher for a small group tour with Intrepid Travel. 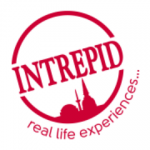 Intrepid is a well-known tour company, and they offer small group tours ranging from a couple of days to many weeks in locations around the world. Intrepid is committed to sustainability and responsible travel in the way they operate–read more about their responsible travel commitment. Give an experience to help your globetrotting friend connect with a destination and get off the beaten tourist track. 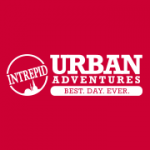 Give a gift certificate for a city tour given by a local guide through Urban Adventures. 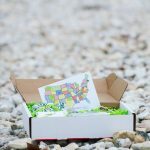 Any other sustainable gift ideas for travelers that you’d add to this list? I’d love to check them out! 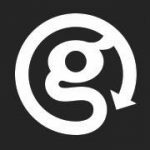 This post was originally published on November 10, 2016 and was updated in November 2018.